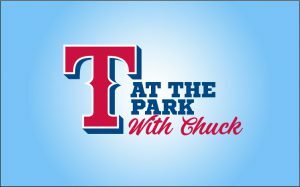 At the Park with Chuck is an all-new series on MyArlingtonTV that will offer Rangers fans a behind-the-scenes look at Globe Life Field construction, fan events and the progress being made at the Texas Live! entertainment complex. 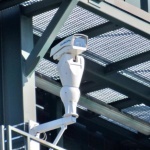 The show is hosted by Chuck Morgan, the team’s Executive Vice President of Ballpark Entertainment and Productions and Public Address Announcer. 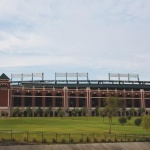 The first two episodes focus on Globe Life Field construction and the 2018 Texas Rangers Fan Fest Presented by Dasani. Thousands of baseball fans attended Fan Fest at Globe Life Park in Arlington on January 20, where they were able to grab autographs, tour the ballpark and take photos with current and former Rangers players. 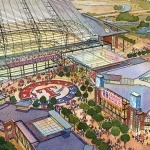 Groundbreaking on the $1.1 billion Globe Life Field took place in late September 2017. General site excavation, installation of the soil retention system, pier drilling, and running of underground utilities are the principle construction activities currently in progress. The 1.7 million square foot facility is scheduled to be completed for the 2020 season. New episodes of At the Park with Chuck will be published regularly on the City’s website, YouTube channel and social media pages. Viewers can also find the show on MyArlingtonTV: Spectrum Channel 16 and AT&T U-Verse channel 99, and streaming capabilities at www.arlington-tx.gov.